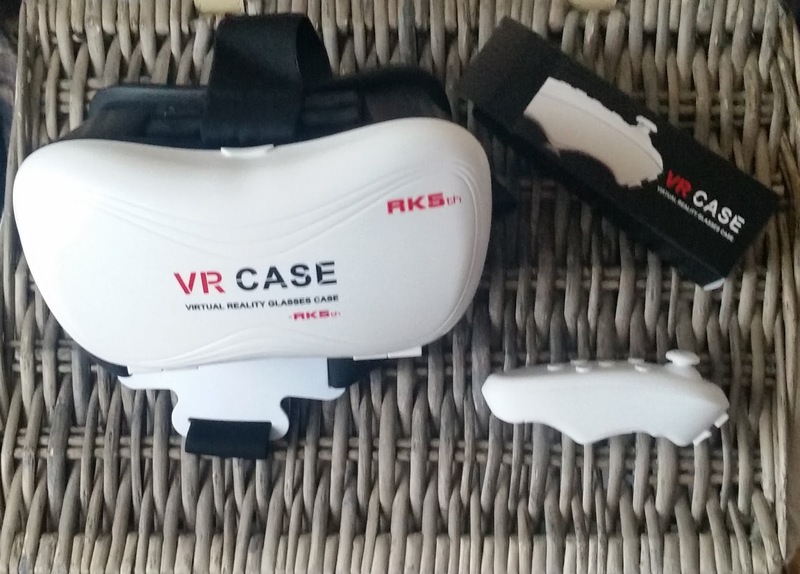 If your wanting to experience the VR world then you have to get your hands on this kit! 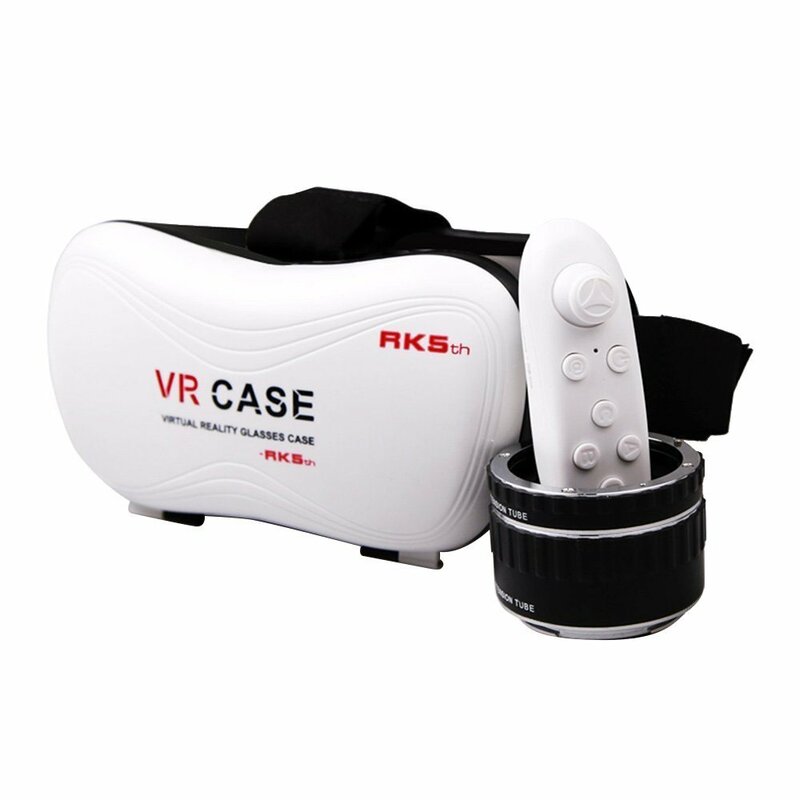 This kit has everything you need to experience the VR world with the adjustable head set which has two side straps and one, over the head strap, these are all adjustable. The straps help you have a comfortable fit when this is placed on your head and your looking through the lenses. 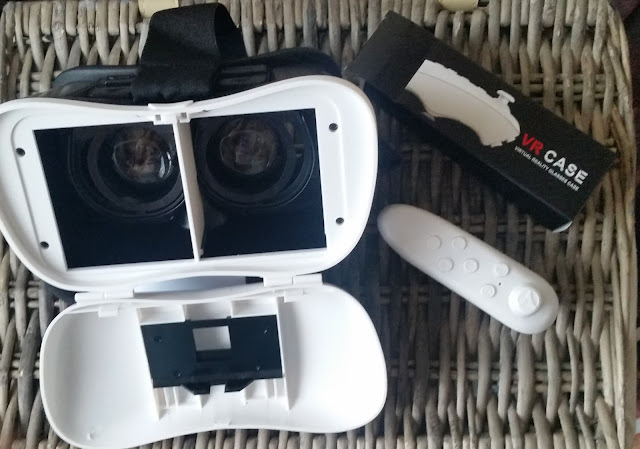 You can adjust the lenses when wearing the headset, these can be found on top of the headset and there is a black slide button for each lense. I found these really easy to use and adjust when wearing the headset. You also get a remote with this kit and the remote takes two AAA BATTERIES which were not included. You hold the power button on the remote for about 5 seconds and the blue light flashes, you then turn blue tooth on your phone and it will find the remote and thats it, the remote you can now use. The blue light on the remote must be flashing, for when your searching for it on your phone using bluetooth, if the light on the remote isnt flashing then your phone will not connect to it. You do get some instructions with this kit which are pretty basic but easy to follow. If your not sure what to do or need more information then just pop onto the internet and your come across more instructions if you need them. 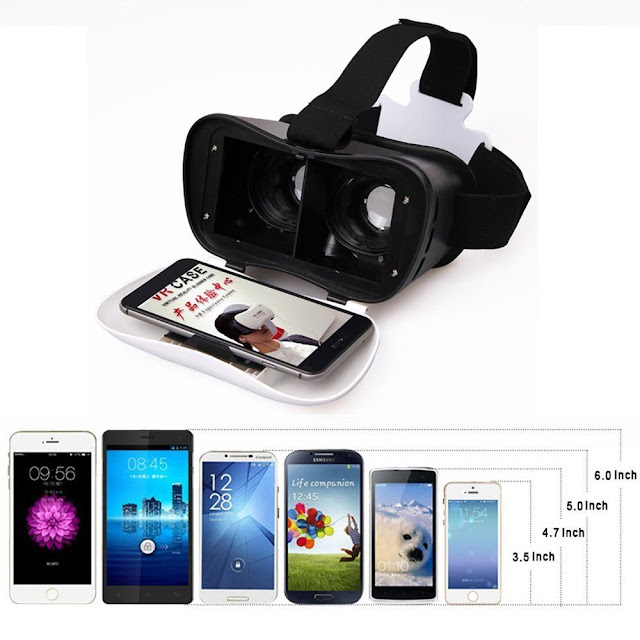 The phone fits perfectly into the opening tray and the holder to hold the phone is sprung so adjusts easily to the size of your phone and holds it in place securely, i have a samsung S5 and i could experience the VR world. Also there are some side slots that you can feed the head phone wire through if you wanted to use headphones. There is loads of VR apps on the play store so just pick one that takes your fancy and you want to experience, just make sure you have plenty of storage on your phone as some apps take up a lot of space and you might have to delete one VR app to use another. If your wanting to experience and get into the VR world this kit is all you need and works brilliantly!! It is really comfortable to wear and easy to set up!